Behold, for what you are going to see is an argument popularised by Michael Behe’s “Darwin’s Black Box” – Irreducible Complexity. Yes, for if a truly irreducibly complex organism is to be found, evolution is utterly crushed. The definition for irreducible complexity is as follows: “A single system which is composed of several interacting parts that contribute to the basic function, and where the removal of any one of the parts causes the system to effectively cease functioning.” Despite being refuted by scientists repeatedly, creationists still love to use this tactic, and Bible Life Ministries is no different. Their claim starts with the saying that scientists believe “that lightning struck a pond of water, causing several molecules to combine in a random way, which by chance resulted in a living cell”. That is certainly oversimplifying and misrepresenting abiogenesis, but I will not tackle it. Instead, I shall tackle the claim that a living cell is so complex that it couldn’t have evolved. Creationists claim that a cell is too complex to have evolved, but actually it can. The first organism did not have to be as complex as the organisms nowadays. It simply needed to be able to self-replicate. In such a case, even a simple combination of RNA and proteins would’ve been sufficient. Over time, it would evolve into being more and more complex, with new functions rising. This fits the model of evolution nicely. This may have been the first living organism. Bible Life Ministries also claimed that the cell is too complex to have evolved by chance. Duh. Evolutionists never claimed that evolution is a fully-random process. While the process of genetic mutation may be random, natural selection is not, even the interaction of chemicals are governed by certain laws. E. coli cells use long, thin structures called flagella to propel themselves. These flagella form bundles that rotate counter-clockwise, creating a torque that causes the bacterium to rotate clockwise. 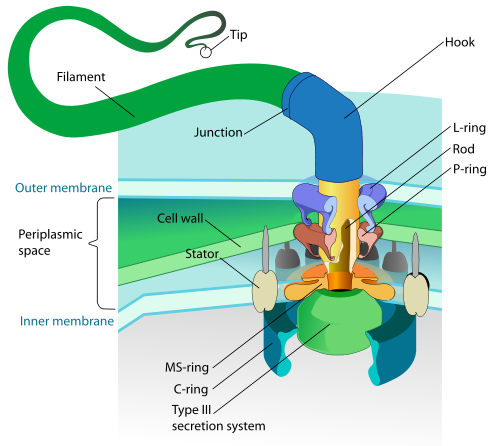 The flagellum is arguably the most interesting organelle ever, as it is powered by a rotary motor. This design is almost never found in any other organelle/living organism, and is quite an evolutionary puzzle. Because of this, the flagellum is touted by creationists worldwide as evidence for “Intelligent Design”. How wrong they are. The flagellum of Gram-negative Bacteria moves using a rotary motor. One cannot help but compare it to the motors in our cars. 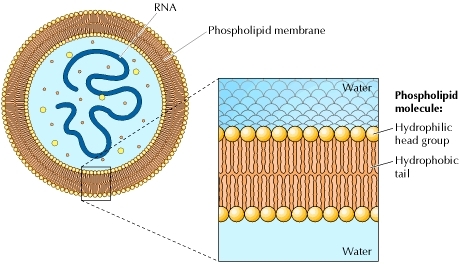 The Type-III Secretion Apparatus (often written Type III secretion system and abbreviated TTSS or T3SS) is a protein structure and an organelle, found in several Gram-negative bacteria. T3SS is used by pathogenic bacteria as a method infect other microorganisms. Current evidence suggests that the bacterial flagella and T3SS evolved from a simpler secretion system and share at least nine homologous constituents. Flagella assembly ATPases - the FliI proteins (Protein flightless-1 homolog) is also homologous to T3SS ATPases. Because ATPases energize numerous biological processes, FliI may have evolved independently of flagella function, having later been recruited to energize flagella assembly. The T3SS secretes proteins directly from the cytoplasm through the membrane of the bacteria into the cytoplasm of the host cell or into an external medium. It does so by using thin, rigid, hypodermic needle-like protein complexes anchored to the envelope by basal structures resembling those of the flagella. In fact, in some cases, both the flagella and T3SS export same or similar proteins through the cell membrane, thus showing both organelles are highly similar in function and structure. 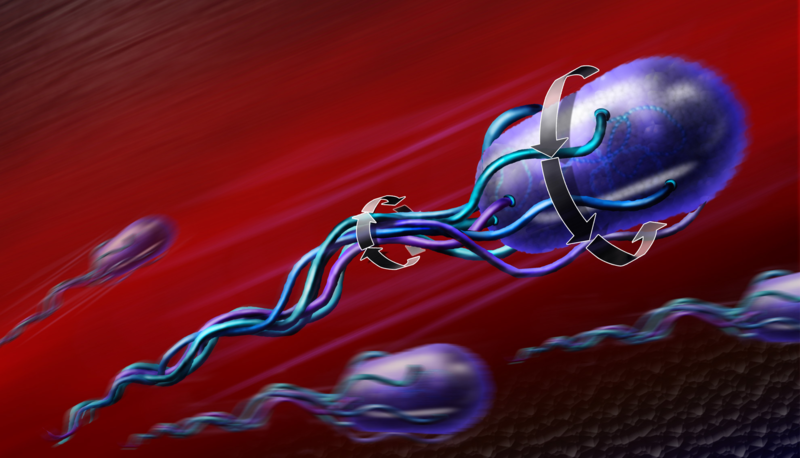 The T3SS has shown that the flagella can be evolved, and is thus further evidence against irreducible complexity. I have now debunked the claim that irreducible complexity debunks evolution. Bible Life Ministries used 2 of the most famous structures associated with irreducible complexity, and yet both of the structures could’ve evolved through evolution. (See Part 1 – Birds Support Evolution for my answer to the evolution of flight, another commonly touted example of irreducible complexity). In the next post, Bible Life Ministries funny claim that “Human Egg and Sperm Prove Evolution is Wrong” will be answered in detail. Wong, Tim; Amidi, Arezou; Dodds, Alexandra; Siddiqi, Sara; Wang, Jing; Yep, Tracy; Tamang, Dorjee G.; Saier, Milton H. (2007). "Evolution of the Bacterial Flagellum: Cumulative evidence indicates that flagella developed as modular systems, with many components deriving from other systems". Microbe 2 (7): 335–40.